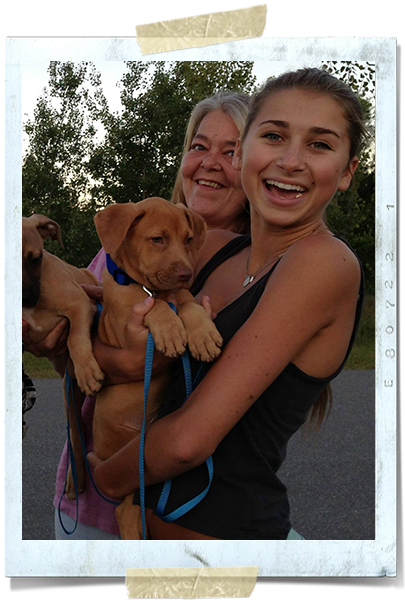 An important step in adopting a rescue dog is being able to meet him/her before offering a lifelong commitment. We understand the importance of connection and matching lifestyles. We also like in ensure our dogs are in a good state of health, both mind and body, before starting their new journey with their new family. All of our dogs are placed in our devoted, compassionate foster homes where they receive the best care and are able to experience the love and companionship that all dogs deserve. This is how we learn more about each dog as an individual, observe their personality and determine what their ideal home would be. Adopting one of our dogs is a lifetime commitment and we want to be sure that we have found the ideal match for both adopter and pup. We also provide ongoing support for as many years as you have your adopted friend. If you are interested in adopting one of these special dogs, please click the Meet Our Dogs page to find your perfect companion. When you find the dog you think will be the right fit, please complete our online Adoption Application. 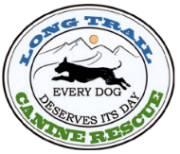 If you have any questions, please feel free to contact us at adopt@longtraildogs.org. Anyone interested in adopting one of our rescue dogs must complete the Adoption Application. 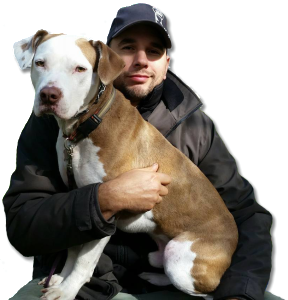 Our Adoption Coordinator screens applications, contacts references, and will then set up a time for the family to meet the rescue dog(s) they are interested in. The application process is simply intended to provide the best possible outcome for both the rescue dog and the new family. Our goal is to work with potential adopters to make the right match between dog and family to ensure that the relationship is successful and lasts a lifetime. We make every effort to check applications and respond as quickly as possible, but please remember we are all volunteers who have full-time jobs, children, and our own pets to care for. We thank you for your patience and understanding. All of our dogs have been spayed and neutered, heartworm tested, dewormed, microchipped, and are current on vaccinations. *Fee may be slightly higher for dogs who have required extensive medical treatments. 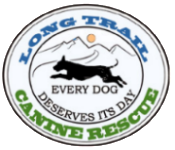 Long Trail Canine Rescue has developed some very important resources to help you and your dog enjoy a successful adoption process. Take a look at our Adoption Resources for more information. And, as always, we are here to help you in any way we can!